Ever since we saw that trailer with the car, plenty of FFXV memes were spawned and we all started laughing at the idea of the game as a road trip. But that’s all done on purpose; FF XV is a fantasy based on reality, which includes realistic ways of getting around. 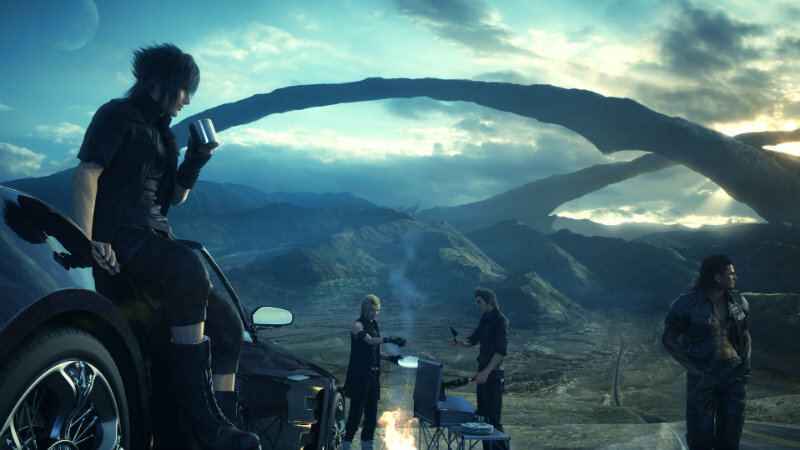 Speaking to Gamespot, game director Hajime Tabata explained that the various towns and cultures are inspired by real places. This was an aspect introduced when the game was still called Versus XIII and influences include Shinjuku in Japan, Cuba’s Havana and of course Venice. But how you get from point A to point B is also important. The world is connected by continuous land. If those areas were disconnected, it would feel distant from reality. You’ll find that you’ll be able to walk or drive or take a train and travel through this world seamlessly. I feel you’ll be able to experience something similar to a real trip. Of course Gamespot asked the next natural question – does this mean that there will be no airships in Final Fantasy XV? To be completely honest, that’s still to be determined. But the development team does understand that this is something everyone is looking forward to. It is a huge technical challenge; as mentioned earlier, all areas are connected. We are trying to tackle that challenge. So at the moment we can’t say yes, they will be included, but we do want to and we’re ready to take on that challenge and see what can be done. In the most classic Final Fantasy title category, for me, dungeons [were] very scary things that were chaotic and uncontrollable. In the dungeons, there is this kind of strangeness where something that shouldn’t necessarily be there in real life is existing. That kind of strangeness, the non-normal, that feeling you get in those circumstances, will be experienced in XV. There is still no sign of a release date – apparently there are a lot of challenges to development and the game is nowhere near completion. But at least we get the demo soon; I’m really excited to just get a feel for this Final Fantasy game. Each one is so distinct, it will be fantastic to not only understand the story, but also get a feel for the various characters and the flow of combat and exploration.